New Delhi: Congress chief Rahul Gandhi, ex-prime minister Manmohan Singh and UPA chairperson Sonia Gandhi on Tuesday released the party's manifesto for LokSabha polls. 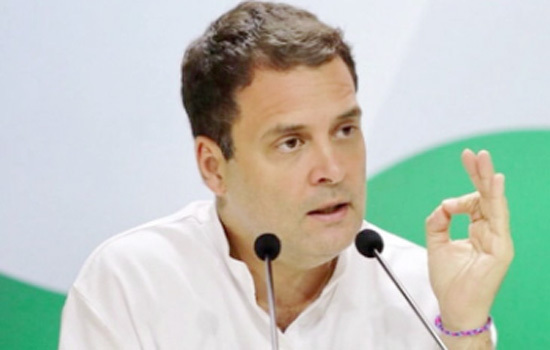 “You can set up business and won’t need any approvals for three years,” says Gandhi On the narrative war, the Congress said the PM can try as much as he wants to shift the narrative away but he won’t be able to do this. Gandhi wraps up manifesto release event saying its focus is five fold — addressing farm distress, joblessness, women’s security, new business and small enterprises, and health and education concerns.